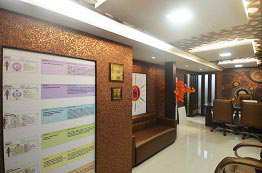 The Sanskrit word 'japa' means chanting a mantra repetitively or repetitive recital of mantra. Japa also means meditation performed with the focus on an object of divinity. 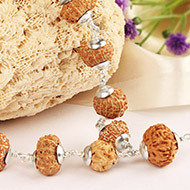 A mala is a spiritual rosary used for chanting on its beads while doing the rounds of Japa. All the spiritualists, meditators, saints and sages always carry their mala wherever they go as these personalities ardently devote themselves to the regular mantra japa meditation and for that, they constantly need their mala. 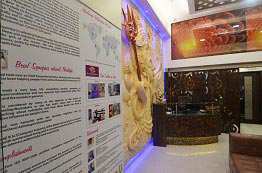 Why is mala is used for meditation? 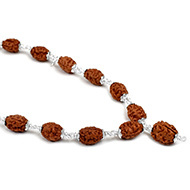 Regular practice of Japa meditation incorporates the use of a spiritual rosary that acts as a Meditation aid. 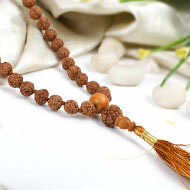 A mala has 108 beads for keeping the count during meditation. Malas can also be of 27 beads or 21 beads for shorter meditations. Malas actually help you focus or concentrate on the mantra you are chanting. It keeps the mind focused and your attention is drawn to the sound of mantra and you come aware of being in meditation. As a result, unwanted thoughts or distractions cease to unsettle your mind. 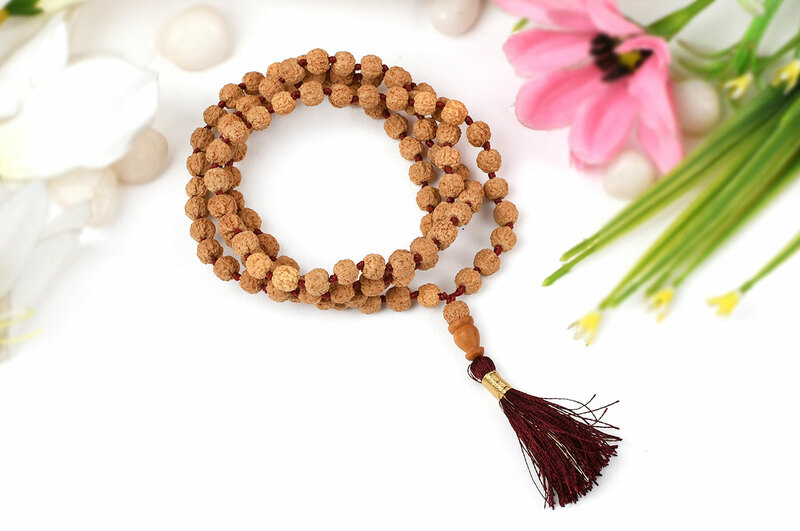 What are the types of mala? 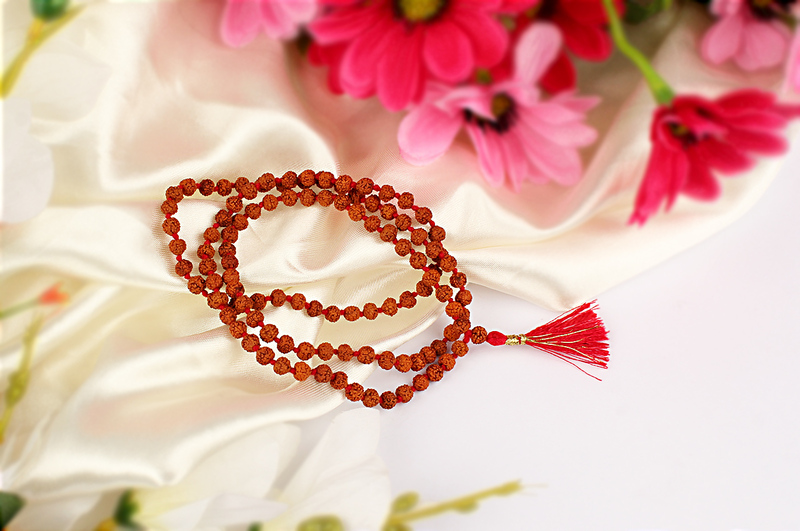 Since the meditation is a vast field of self-help or self-empowerment, there are different kinds of mala available today. 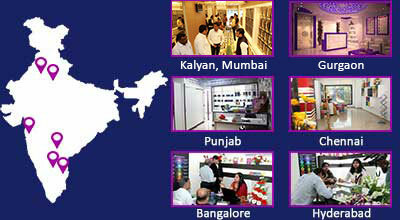 For instance, Rudraksha mala, Tulasi Mala, Gemstone mala, Herbs mala (Haldi turmeric, cardamom mala etc. ), Rosewood mala, Lotus Bead mala, Sandalwood mala, Cowry Shells mala and so on. Spiritually, these malas serve different purposes. For example, Rudraksha beads are best for Shiva sadhana, Tulasi Mala is best for meditating on Vishnu, Rosewood Mala for Ganesha. 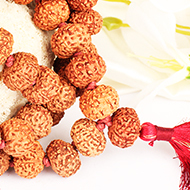 Read more about malas in detail here Prayer Bead Malas. 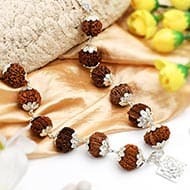 Can anyone use japa mala? Yes. 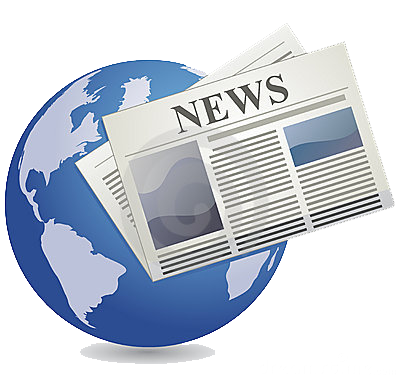 Spiritual practice is not confined to a particular caste, religion, color or ethnicity. Every living being on this planet has the right to live in harmony with each other. All the holy books point to love, peace and harmony among all of us. 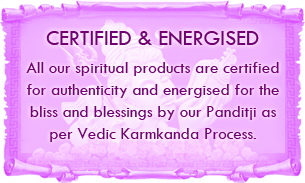 Sacred objects like spiritual malas, Rudraksha beads etc. are meant to purify the mind, body, heart and soul of all of us. 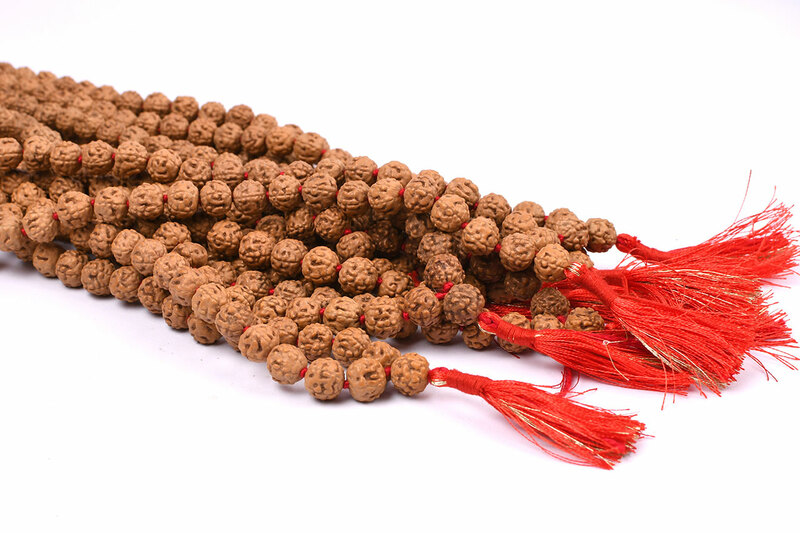 A string of 108 beads called Mala, used to count mantras with one bead as the peak bead called "SUMERU" Mala is a instrument used to keep your mind on the meditation practice. 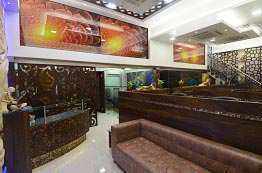 Chanting of mantra was a concept of the Vedic saints that includes mantras as one of the main forms of worship, whose end is seen as salvation. Basically, Mantra Jaap means repeating the mantra. 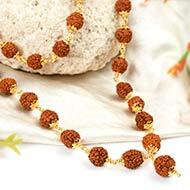 Rudraksha beads work on different chakras of human body as well on different planets and invite blessings from Gods. They work best when worn on body. 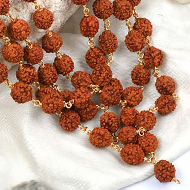 Touching skin is not necessary for rudraksha beads to show effect. 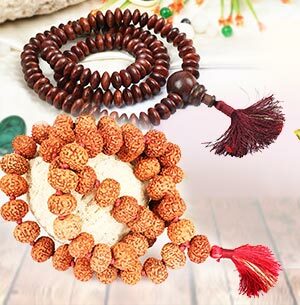 There are many kinds of Mala used in spiritualand meditation purposes. 1. 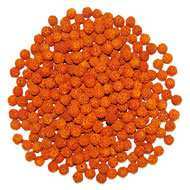 Lotus-seed Mala (Kamal Gatta Mala) - This mala is used for the worship of Goddess Lakshmi for Chanting her Mantra. 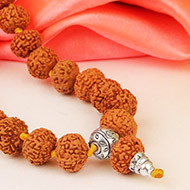 Devotees often wear this mala around their necksafterJapa. Sumeru is a prominent bead, which is the central position of the rosary. 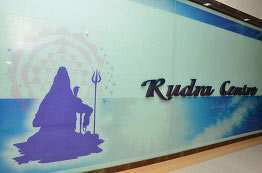 The Sadhaka while rotating the rosary during mantra Jaap should not overtake this Sumeru while counting and from there he should count therecitation in the reverse order.